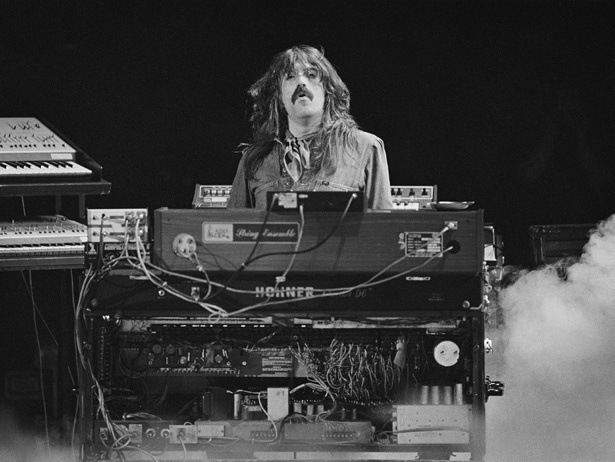 VIA VH1.com - Heavy music fans the world over are mourning the death today of Deep Purple keyboardist Jon Lord. He died from a pulmonary embolism this morning after battling pancreatic cancer for several years and passed away surrounded by family at the London Clinic. Lord was a founding member of the seminal hard rock band who are known as one of “The Big Three” of early heavy metal, alongside fellow countrymen Led Zeppelin and Black Sabbath. Formed in London in 1968, the band’s galloping rhythms and neo-classical flourishes expanded and forever influenced metal’s musical language. Their landmark 1972 release Machine Head is one of rock’s essential albums, containing such standards as “Smoke On The Water,” “Highway Star” and “Space Truckin.’” Throughout their discography, Lord’s virtuosic keyboard playing might be the bands most innovative aspect. In a genre primarily known for loud and distorted guitar riffs, his thick and aggressive keyboards gave many of Deep Purple’s heaviest songs their actual heft. After the band’s dissolution in 1976, Jon Lord played in later-day Purple singer David Coverdale’s band Whitesnake before re-joining the reconstituted Deep Purple in 1984. He retired from Deep Purple in 2002 but continued making music, most recently with the supergroup WhoCares, featuring Deep Purple “Mach II” singer Ian Gillan and Black Sabbath guitarist Tony Iommi among others.